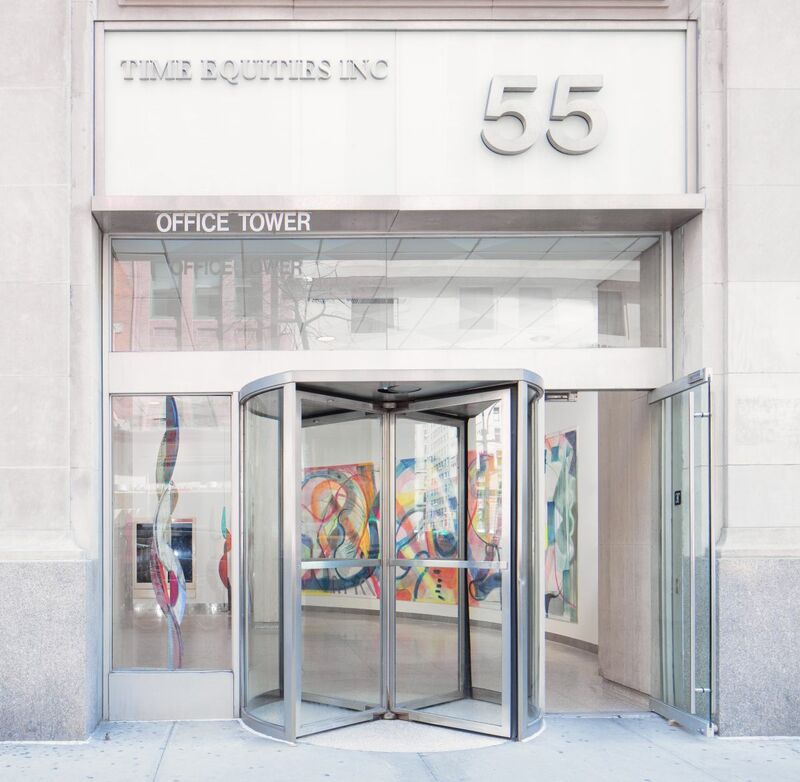 Time Equities Inc. Art-in-Buildings is pleased to announce the next exhibition in the lobby of 55 5th Avenue, Emily Noelle Lambert: Tangle. 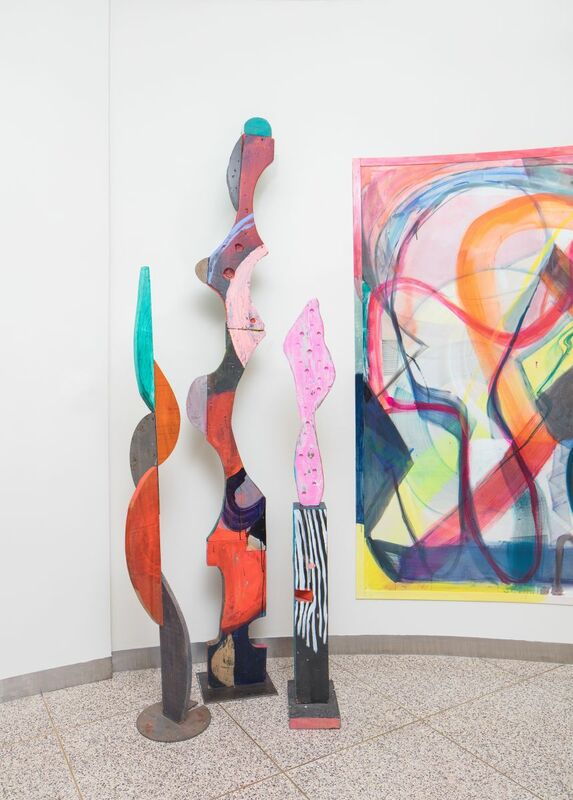 Emily Noelle Lambert's paintings and sculptures are vivid, gestural abstractions that demonstrate an instinctual relationship to formal elements such as line and color. 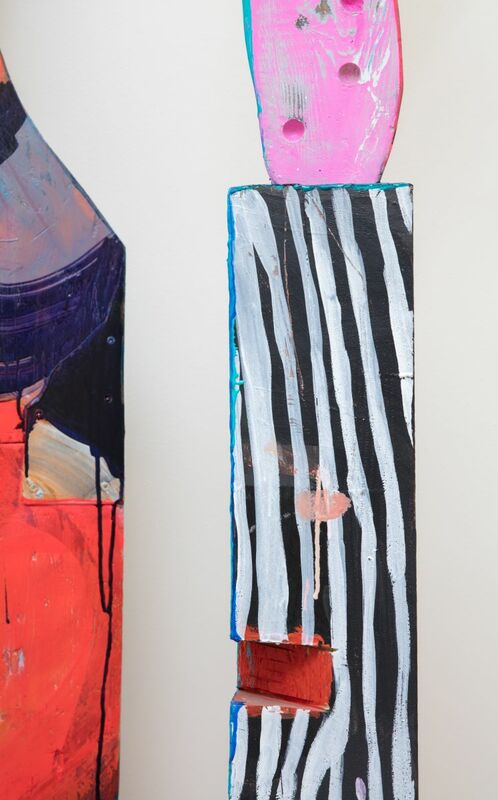 They are resolutely handmade and based in the physical capabilities of the artist's body – no single gesture is bigger than the swoop of the span of her arm. 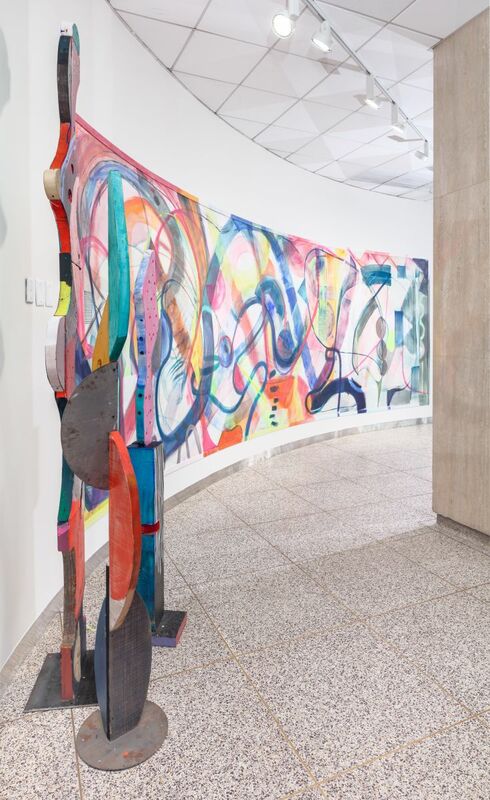 Tangle, a monumental, site-responsive painting, hugs the unusual curve of the lobby wall at 55 5th Avenue. 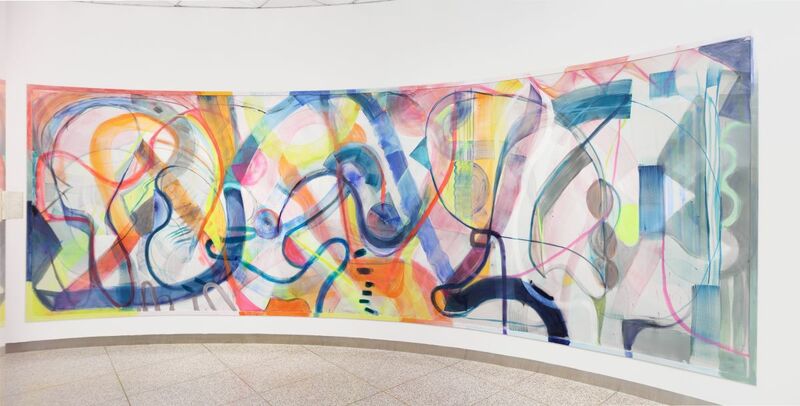 The artist's largest single-panel work to date, it is a compelling echo of the building's architecture and swells as if to immerse the viewer in an enveloping environment of color. 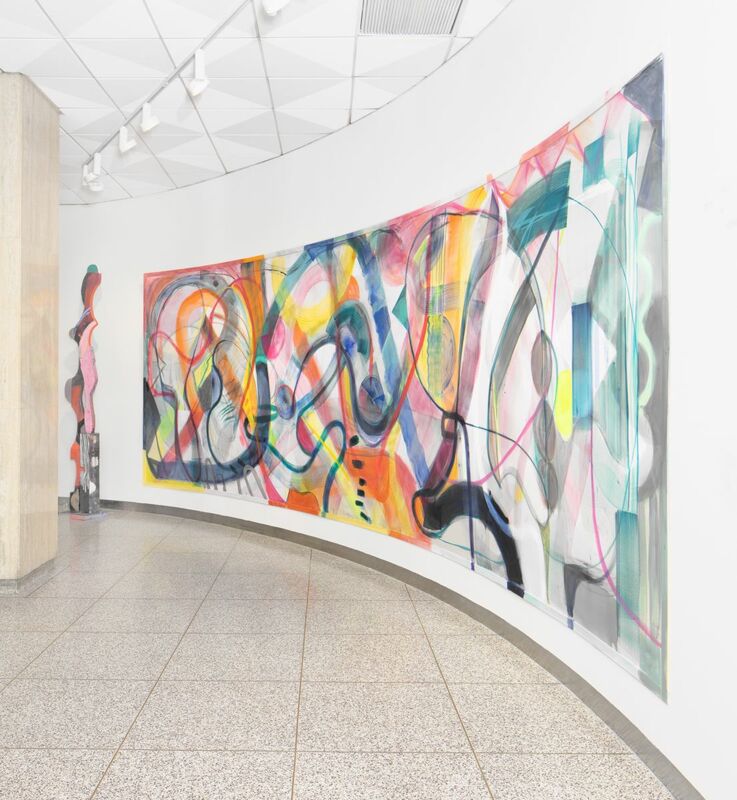 The painting's physicality brings to mind historic works such as Matisse's Cut Outs and Monet's The Water Lilies series, recalling their monumentality and relationship to the exhibition space. 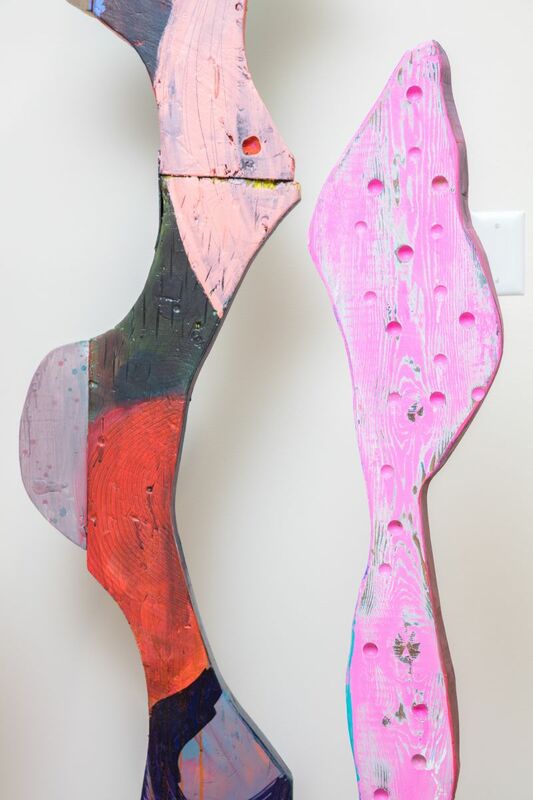 The cluster of accompanying sculptures, composed of discarded pieces of found wood that Lambert brightly paints and patterns, extend the canvas off the wall and into the viewer's space. 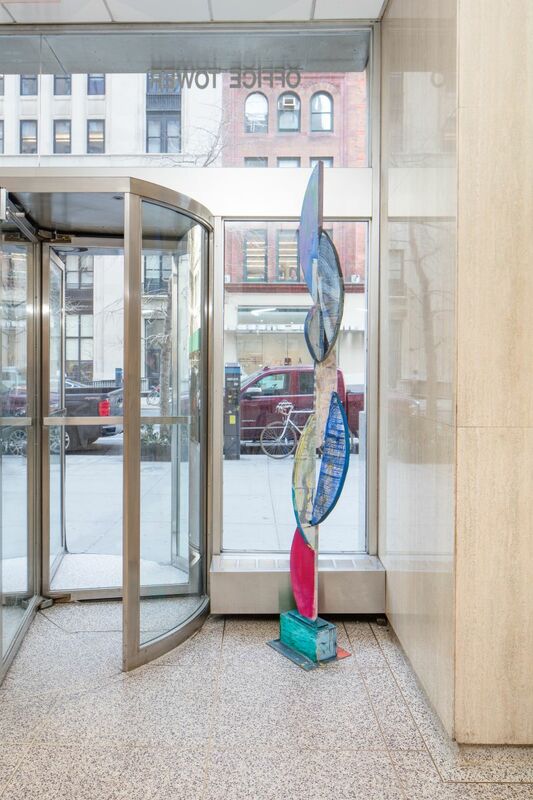 It is a work you can lose yourself in, and will afford a moment of respite from the frenetic energy of 5th Avenue and the hectic pace of transition in the lobby. 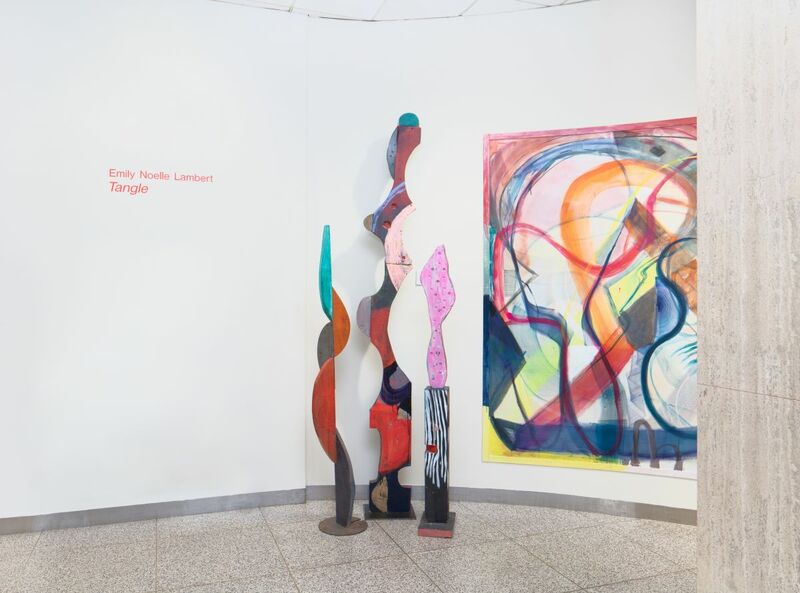 Tangle is curated by Jennie Lamensdorf and sponsored by the Time Equities Inc. (TEI) Art-in-Buildings. TEI is committed to enriching the experience of our properties through the Art-in-Buildings Program, an innovative approach that brings contemporary art by emerging and mid-career artists to non-traditional exhibition spaces in the interest of promoting artists, expanding the audience for art, and creating a more interesting environment for our building occupants, residents, and their guests. Read our interview with Emily Noelle Lambert on the Art-in-Buildings blog!